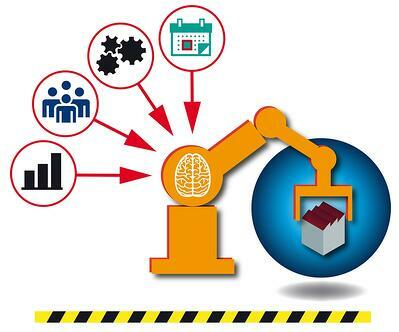 Can Machine Learning Decrease Maintenance Downtime? In industrial, shipping, and freight forwarding sectors, equipment breakdowns are simply a fact of life. That said, unplanned machine outages or vehicle breakdowns can have wide-ranging impacts throughout a given company’s entire value stream, negatively impacting production schedules, transport routing, and capacity management. IndustryWeek estimates that across the world of manufacturing, as much as $55 billion is lost annually to unplanned maintenance time, with some businesses losing up to $22 thousand per minute of machine downtime—meaning that any solution that can decrease the number of unplanned outages represents a significant value added proposition with the ability to decrease overall supply chain volatility. Until now, supply chain planners have had to make pen and paper predictions by which to schedule down-time and maintenance. While this process is crucial to avoiding breakdowns, it’s only a partial solution. Maintenance schedules created in an Excel spreadsheet, for instance, will never be able to fully accommodate and account for all of the relevant data when it comes to predicting outages, but that doesn't mean that all hope is lost for mitigating the effects of outage-based disruptions. To wit, some companies are beginning to rely on new technology like machine learning algorithms and the Industrial Internet of Things (IIoT) to preempt likely breakdowns. But how exactly can these new technological advances add value? Before we dive into the nitty-gritty of how it can impact your business’s value stream, let’s take a second to clarify more specifically what we mean by machine learning as a term. Simply put, it refers to a branch of artificial intelligence in which algorithms are trained on large quantities of data in order to make connections and develop insights that would otherwise be virtually impossible to discover. These algorithms can be given specific autonomous tasks, like filtering spam out of your e-mail inbox or identifying the contents of digital images, but they can also be employed for making predictions about future events. The crucial hurdle to the adoption of this technology is integrating a large cache of real-time data. In the era of Industry 4.0, the rise of cyber-physical systems and the resultant increases in digitization and transparency can help drive the requisite data improvements to make artificial intelligence processes more feasible. When it comes to training predictive algorithms specifically on vehicles or machinery, the need to integrate sensors and devices that can relay information back to a centralized planning system adds an extra layer of complexity to the integration process. To support intelligent planning workflows when it comes to vehicle and machine data, one of the most powerful tools available to the modern manufacturer or shipper is the Industrial Internet of Things. Just as machine learning is a sub-set of artificial intelligence, IIoT is a subset of the broader Internet of Things (IoT), which refers to smart, internet-connected devices that can gather data and create integrated workflows across devices. IIoT is usually discussed in terms of the emergence of the so-called smart factory, in which physical systems are linked to technological solutions in order to generate new efficiencies through a more holistic understanding of a given manufacturer’s production processes. By integrating IIoT devices with existing production streams, supply chain managers can introduce real-time production data into their planning workflows, thereby increasing visibility throughout the entire value stream while offering a more complete snapshot of one’s production workflows. The question remains: how can these technologies impact manufacturing and shipping value chains? Simply put, by training machine learning algorithms on IIoT-gathered data about machine and vehicle usage, businesses can begin to discern patterns in unplanned maintenance downtime that will empower them to implement preventative maintenance measures. Essentially, if a given company’s production planners know in advance that a machine is likely to break down in the near future based on IIoT sensor readings, they can strategically take the machine offline to perform maintenance in a way that will minimize disruption to existing production processes. The same process can be applied to vehicles, where predictive algorithms can act as a more sophisticated “check engine” light, giving planners an advanced indication that something is likely to go wrong in the near future. Rather than waiting for disruptive breakdowns to wreak havoc on the entire supply stream, planners can pinpoint the ideal moment for scheduled maintenance to ensure that other supply chain workflows sustain little or no disruption. With unplanned vehicle downtime, transport planners must scramble to preserve their on-time deliveries, whereas when downtime is scheduled preemptively planners can adjust their fleet utilization intelligently, with an eye toward efficient and flexible resource usage. In this way, businesses can recoup time and revenue that would otherwise be lost in organizations that don’t boast a robust Industry 4.0 infrastructure.